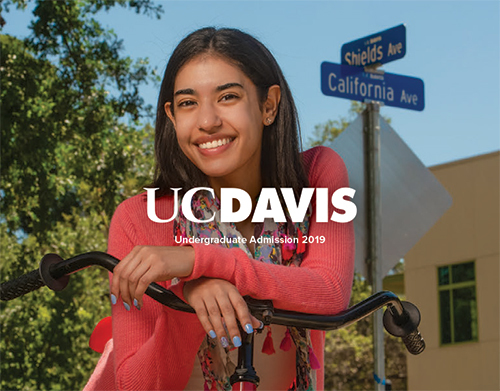 To be considered for admission to UC Davis, freshman applicants must earn a high school diploma (or equivalent) and satisfy the UC admission requirements outlined below. However, meeting the UC admission requirements does not guarantee admission to UC Davis. 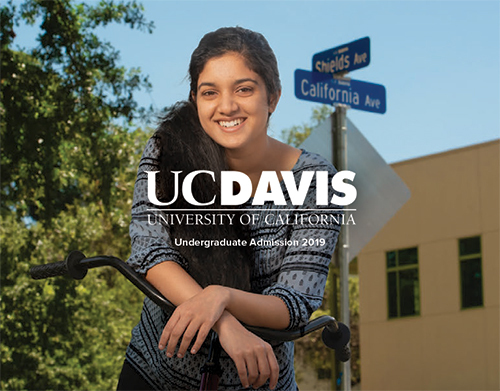 Applicants who are admitted to UC Davis generally well-exceed UC admission requirements. The following courses must be completed with a C grade or better and, for California residents, must be on your high school's UC-approved course list. At least 11 of the 15 year-long courses shown in the "a-g" requirements below must be completed before your senior year of high school. The scholarship requirement is satisfied if you earn a GPA of 3.0 or better in "a-g" courses taken during the tenth and eleventh grades. Applicants who are not California residents must earn a GPA of 3.4 or better. Freshman applicants are required to take the ACT with Writing or the SAT with Essay* no later than December—official scores must be received by the end of January. When you report your ACT or SAT scores to one campus they will be shared with every UC campus to which you've applied, if authorized on your UC application. Only your highest scores from a single sitting will be considered. * SAT Subject Tests are not required and UC Davis will consider submitted SAT Subject Test scores only if they benefit the applicant. If you're a California resident applying to UC as a freshman and complete the UC Admission Requirements by the end of your senior year, the University of California offers two paths for admission to a UC campus: Statewide Context and Local Context. Through this pathway, the top 9 percent of graduating students in California according to the UC Admission Index qualify for admission to a UC campus. To be eligible, you must complete any 11 year-long UC-approved subject requirements before your senior year. Transferring? 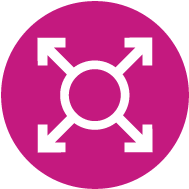 Learn about transfer admissions requirements.